This novel by Martine McDonagh is sensual, poignant and sinister, this is a story of obsession—and survival. Rachel fends for herself in a country brought to its knees. Since Jason left two years ago, she only ventures beyond the safety of her storm wall when food supplies dwindle. Her one contact with the outside world is through Noah, who runs the market. Hoping he might be the answer to her isolation, she proposes a date. When another man turns up in Noah’s place, she is intrigued and repelled in equal measure. And when Noah denies all knowledge, she sets out to track down the stranger. Could this be a new beginning, or is she being drawn into a dangerous game? A fine example of the spec fiction genre, the changed world [McDonagh] has created seems eerily real. Deeply atmospheric and darkly original, it explores the impact of loneliness and loss on the psyche in extreme conditions, and the terrible toll it can take. 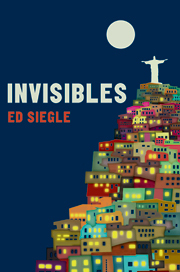 A thought-provoking novel that is deceptively chilling. A fascinating study in the effects of isolation and paranoia. Told with passion and real skill... a disturbing but rewarding read that makes a virtue of brevity and a narrow focus. It is very atmospheric and certainly leaves an indelible imprint on the psyche. Chillingly believable... Sinister, scary and utterly compelling, it is hard to believe that this strong, confident writing comes from a debut novelist. Read it if you dare. 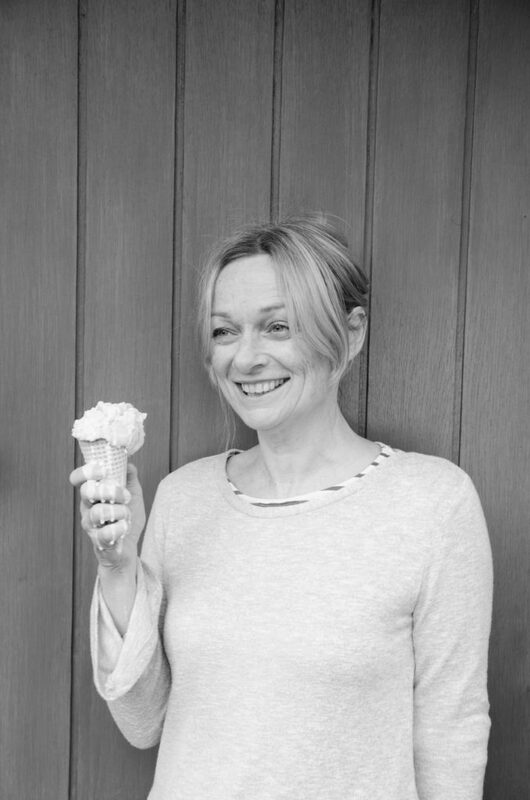 Martine McDonagh has worked in the rock industry for a long time and her writing still works to this tempo, to these dynamics - physical, sensual and nerve-wracking. 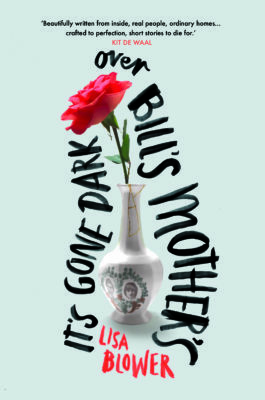 This book certainly got under my skin – if you like your books dark and more than a little disturbing this is one for you. A story of sexual obsession and broken trust, with the sodden (and wonderfully rendered) landscape a constant, literally atmospheric presence. A tale of isolation and survival... Rachel is a survivor, but she has a vulnerability which makes her plausible. This novel manages to combine the nightmare of a post environmental apocalypse with a psychological thriller... McDonagh’s novel is a fine example of the spec fiction genre, the changed world she has created seems eerily real. A frighteningly real vision of life after an apocalyptic event… Deeply atmospheric and darkly original, it explores the impact of loneliness and loss on the psyche in extreme conditions, and the terrible toll it can take. I’m still thinking about this book days after I finished reading it. The science fiction element was the initial hook that drew me in but there is so much more to consider – the nature of obsessive behaviour, how differing perspectives can offer completely different interpretations of the same event. This is a thought-provoking novel that is deceptively chilling. 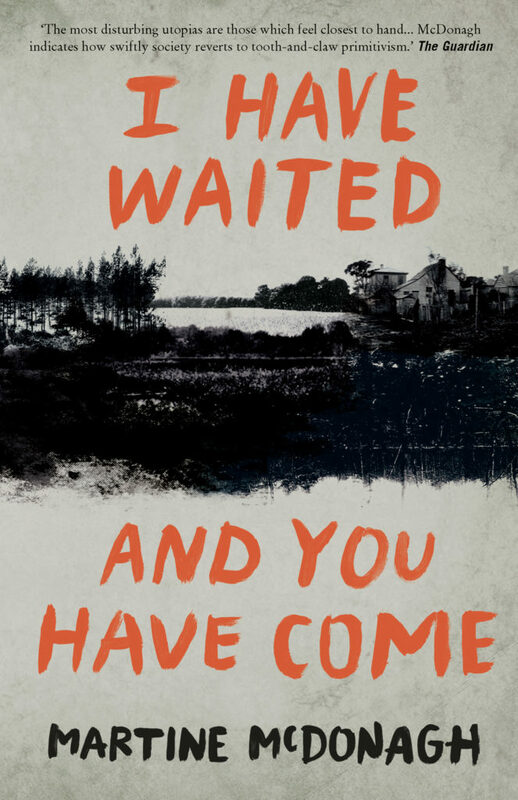 I have waited, and you have come takes its dystopian near-future setting and uses it to build a derelict world of bleak isolation. The dreamlike first-person narrative reinforces this with vivid descriptions of the mouldering landscape of a post-civilization Britain. This is Martine McDonagh's first novel, making the power of her simple prose all the more impressive. She has crafted a taut, creepy portrait of a woman whose already fragile mental state is pushed to breaking point by a series of threats which may be real or only imagined. Rachel is a fascinating study in the effects of isolation and paranoia. 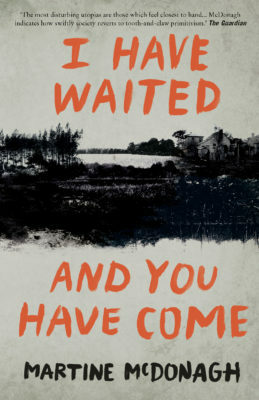 Told with passion and real skill I have waited, and you have come is a disturbing but rewarding read that makes a virtue of brevity and a narrow focus. The most disturbing utopias are those which feels closest to hand; and McDonagh indicates how swiftly society reverts to tooth and claw primitivism... Fans of post-apocalyptic parables will be well pleased. It paints an all-too-convincing picture of life in the rural Midlands in the middle of this century – cold and stormy, with most modern conveniences long-since gone, and with small, mainly self-sufficient, communities struggling to maintain a degree of social order. It is very atmospheric and certainly leaves an indelible imprint on the psyche. Dehumanized and primitive, the world according to this book is material for blurry nightmares, an insidious scary film or accurate lessons in futurology. Martine McDonagh has worked in the rock industry for a long time and her writing still works to this tempo, to these dynamics - physical, sensual and nerve-wracking. Martine McDonagh writes with a cool, clear confidence about a world brought to its knees. Her protagonist, a woman living alone but battling on into the future, is utterly believable, as are her observations of the sodden landscape she finds herself inhabiting. This book certainly got under my skin – if you like your books dark and more than a little disturbing this is one for you. Cataclysmically brilliant... 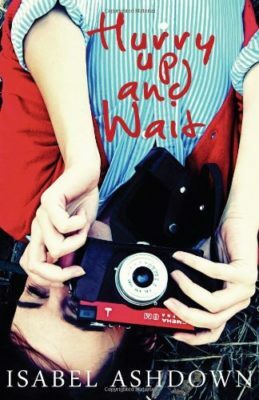 I Have Waited explores what happens to us when we end up alone through choice or through circumstance. In a grim and unforgiving environment, Rachel is a brave and uncompromising heroine; tense and nightmarish, the narrative builds to a shocking conclusion and stays with you for a very long time. An exquisitely crafted debut novel set in a post-apocalyptic landscape... I'm rationing myself to five pages per day in order to make it last. McDonagh has cleverly created a tale of isolation and survival while ramping up the menace caused by the weather, the unknown watcher and the sinister A Handmaid’s Tale type community trying to persuade Rachel to live with them. Rachel is a survivor, but she has a vulnerability which makes her plausible. Rachel's narrative voice is largely focused on process and physical detail, which works well for the book in a number of ways. It brings to life the grey dampness of the landscape, and its uncertainty – familiar place names and institutions, but no longer as tightly bound into a society. It also makes it harder to anticipate Rachel’s ultimate intention, leading to an effectively understated ending.